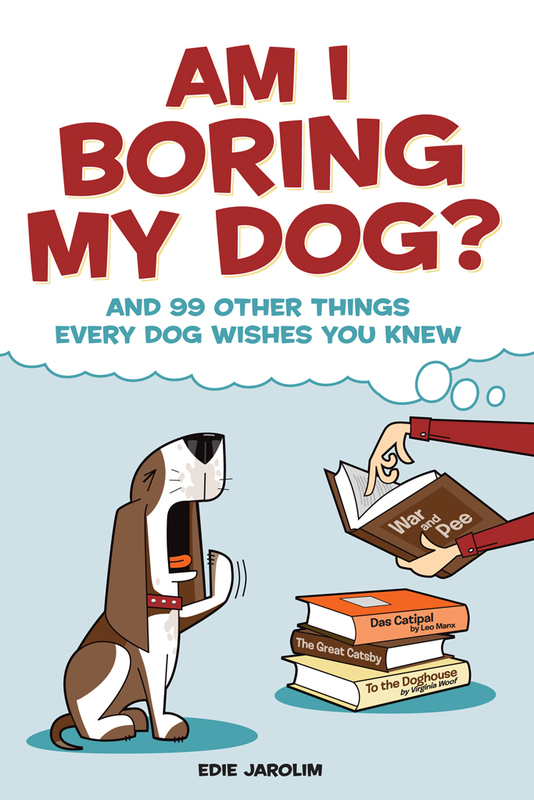 About My New Book: Am I Boring My Dog? | Will My Dog Hate Me? Perhaps I should mention that Michael has a cat, and once almost drop-kicked Frankie across the room because he forgot to look down. And that he doesn’t read my blog. It’s true, there are funny anecdotes in the book. But those anecdotes, which involve many dogs of my acquaintance as well as Frankie, make serious points about dog care, touching on touchy issues — as people who read my blog might have guessed. Of course, readers of my blog are still a small, very elite group. In the current absence of review copies and of an updated description of the book on Amazon — and in view of the fact I’m planning some book giveaways — it occurred to me that I should provide a bit more information. It’s always useful to explain why anyone should want the prize you’re offering, not to mention why people who don’t win or even enter the contest might want to buy the book anyway. Frankie is your first dog and you got him later in life. What qualified you to write a book about dogs? Although I always loved dogs, I grew up in pre-hip Brooklyn, with a mother who feared all creatures great and small. None of my childhood friends had dogs. The dogs I saw on TV didn’t beg pastrami from the corner deli or board elevators in run-down apartment buildings like the one I lived in. All in all, I didn’t think I fit the dog owner demographic. Until I got a dog, which put me into the demographic by default. When I first got Frankie from his rescuer/fosterer, Rebecca, he lay on my couch, languishing, a tiny furry Camille. He wouldn’t eat. I became convinced that he hated me, that like my mother, I lacked the canine caretaking gene. I started calling friends and asking questions, reading dog books, going to training classes, asking more questions, reading some more. And once Frankie’s desire for food overcame his fearfulness, he pitched in, showing me what he wanted and needed. Slowly, despite Frankie’s fears and mine, we built a life together — a rich, complex, and often goofy one. As a result of my success — if you can call having an 11 pound alien take over your life a success — I wanted to let people know that there’s no dog person demographic, that anyone who likes dogs can, and deserves to be, a dog person. It’s just a question of getting some basics under your belt. My book provides those basics. He’s Nearly Here — Now What? Do you really know everything about all those topics? No, but I know a lot. And most of all, I know who knows — or at least who knows more than I do. So in many cases, I refer people to good resources — though of course, I’m the judge of what I consider good. I’m a firm believer, for example, in positive training techniques, so I suggest my readers go to DogStarDaily.com and learn all about those techniques from experts like Dr. Ian Dunbar (the site’s co-founder with Kelly Dunbar), Dr. Nicholas Dodman, Patricia McConnell, Suzanne Clothier, Jean Donaldson, and Karen Pryor — to name just a few of the bloggers on that site. Who’s the audience for your book? People who are contemplating getting a dog, those who have just gotten a dog, and those who believe they can do better by their dog — in short, the confused and the guilty. Although I know a great deal about dogs, there’s always something new to learn (and to feel guilty about), so I remain among their vast ranks. Every advice book is expected to distill some takeaway wisdom. So what are the top five things I need to do to maximize my dog’s quality of life and the quality of our lives together? Observing the first, second, and fourth rules will help maintain your dog’s health; honoring the fourth and fifth will ensure you good karma; and following the second and third will go a long way towards keeping you from boring your dog. Which is only fair. Your dog may amuse you with his antics, amaze you with his wisdom, and, occasionally, fill you with fear or anguish, but he definitely won’t bore you. *With apologies — and thanks — to Michael Pollan (The Omnivore’s Dilemma, In Defense of Food), whose warnings against unhealthy, overly processed food apply even more to the dog food made from the human variety’s dregs. **With thanks — and no apologies — to corrupt politicians, who provide us with nearly as much entertainment as dogs do. I include these footnotes here to alert you to the fact that, yes, this is a book with footnotes. They’re often as informative as — and frequently funnier than — the main text. You’re very funny and I’m going to enjoy reading the book, even if I am NEVER going to be a dog owner. Oh, you know you love Frankie, even if he is a dog. Just skip the part of the book where I talk about why dogs are superior to cats. Ha! As it happens, Animal Planet IS one of the topics I discuss — as in whether it keeps dogs entertained. There’s no evidence that dogs can see color, and Frankie is frightened of all those Animal Cop shows. He’s afraid he’s going to be arrested. I must comment that one of those anecdotes in one of the chapters is about my beloved heart dog Painter greyhound. I’m sorry I don’t get “cats” maybe because I’m highly allergic to them but dogs are really women’s best friend because who else on this dog’s earth are we dames going to get unconditional love from? Yes, Painter — who is pictured in a party hat in one of my early posts — was a sweetheart, and I hope the story of his last moments will help others move through their loss, or at least lighten the pain temporarily. Having succumbed to a slightly less tiny, furry Kujo, and having read an advance copy of your book, I accuse you of excessive modesty: you really do know a heck of a lot about a heck of a lot of stuff, but that’s a little irrelevant. 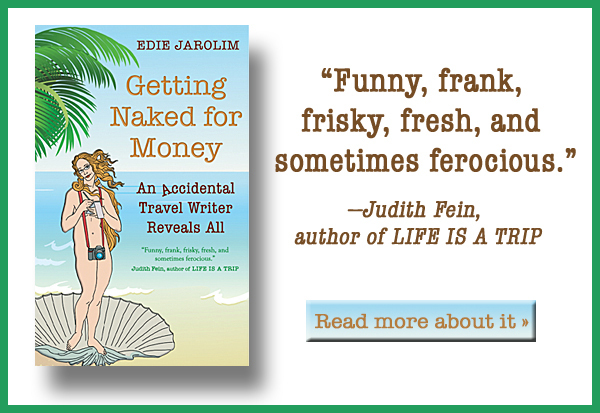 The book is A HOOT and great reading for anyone. Thank you, Clare, for that vote of confidence, but speaking of excessive modesty — you didn’t read an advance copy; you read the book in manuscript and helped improve it immeasurably. That fact will soon appear in print, in my acknowledgments section, so you’ll be unable to deny it.